These posts are far overdue but I finally had time to get everything together to share my Hawaii Food Diaries series! This first post is dedicated most if not all the food I had during my 4 day stay in Oahu. I'll be breaking it down by location and sharing my thoughts on them! First stop right off the plane was to have some shave ice! 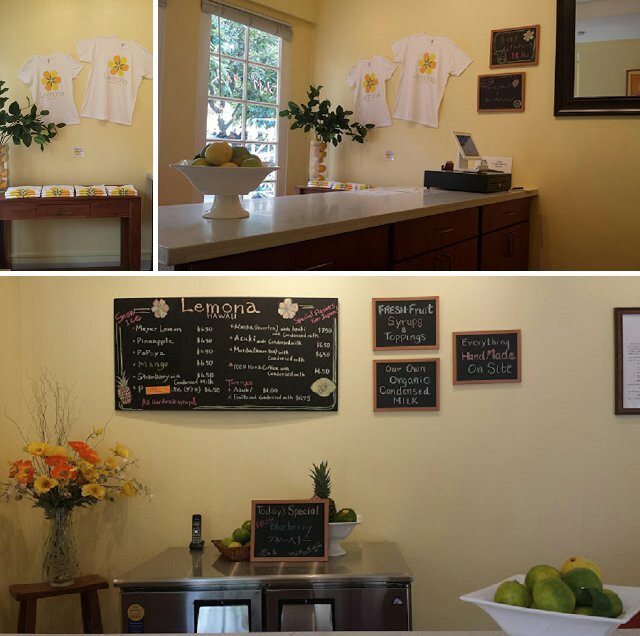 We were located by the Waikiki area and it just so happened that Lemona was walking distance away from our hotel and since it was so hot out humid, shaved ice was the way to go! 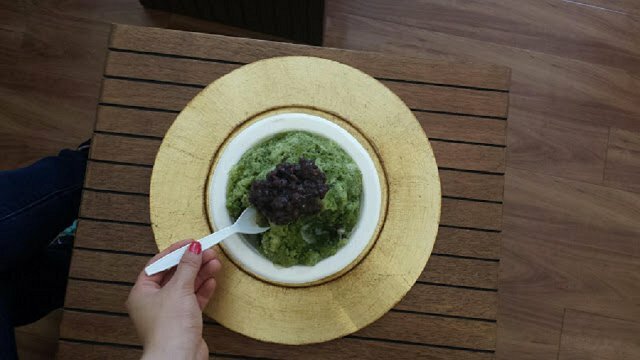 We had the matcha (green tea) shave ice with azuki (red bean) and condensed milk. This place was excellent since they made their own syrups with fresh ingredients and without corn syrup. This allows it have the right amount of sweetness and allowing the fresh flavor to come out. They also make their own condensed milk so it isn't the thick stuff you find in the can but a light, milky, refreshing addition on top. It was so good the first time, we had to go back the next day and ordered the strawberry, which was refreshing with the right balance of sweetness and tartness. For lunch, we went to Marukame Udon, which is similar if not the same to thi.s other place I've been to in Seattle (U:Don). 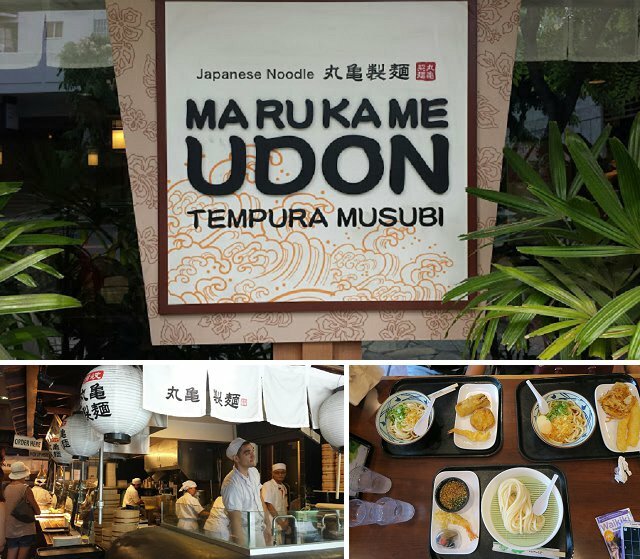 I love the concept of this place: order the type of udon you want and how you want it prepared, keep moving to see if there's anything else you'd like to add on such as fried gyoza, musubi, takoyaki, etc. It's fast, affordable, and definitely filling. Plus, they make their noodles there. Perfect if you want a fast, filling, and yummy meal! Grilling goodness came next at Gyukaku Japanese BBQ and of course I had to get a drink with li-hing and an umbrella while I was in Hawaii. The spread was ridiculous and it was the perfect amount of food with different cuts of meat and styles of marination. Perfect meal with friends and or family where everyone is involved. The next day, we had a whole day planned to go to the Dole plantation, North Shore and some local eats. Garlic shrimp is a must from one of the many local food trucks! We didn't get a chance to try a lot but while in North Shore, we went to Macky's. The buzzing flies around us while we ate was worth the work for the fresh succulent shrimp in the tastiest butter & garlic sauce. Matsumoto's Shave Ice was another hot spot that we had to go to while we were in North Shore. We ordered the Ichiban special with an edible bowl with coconut flavored shave ice, azuki (sweet red bean), mochi (chewy rice balls) with vanilla ice cream and condensed milk on top. A stop at the Ala Moana mall was a must with a food court on the bottom floor along with an all our Japanese style food court in the upper level. The first night we didn't have much time to wander since it was almost closing, but we stopped at a place that sold abalone and a few desserts. Being first timers in Hawaii, my aunt and uncle wanted to take us to a Luau. It was decent food but of course, when food is cooked in that large of a quantity, it isn't as good as it could be. The Polynesian Cultural Center is where we had our Luau filled with Kahlua pig, poi, taro bread, and much more. Ramen is also a must while in Hawaii. We went to a popular spot, Kyoto Ramen Yottoko-ya which makes a special pork ramen pieces with limited quantities. The broth was excellent but the meat was a bit disappointing. It was tough around the edges with only a few places that were soft enough to eat without being chewy. I have heard people brag that said this was one of the best places to get ramen but I can't say I 100% agree. The last day in Oahu, we didn't go to a restaurant and decided to get everything to-go and bring back to the hotel to eat. 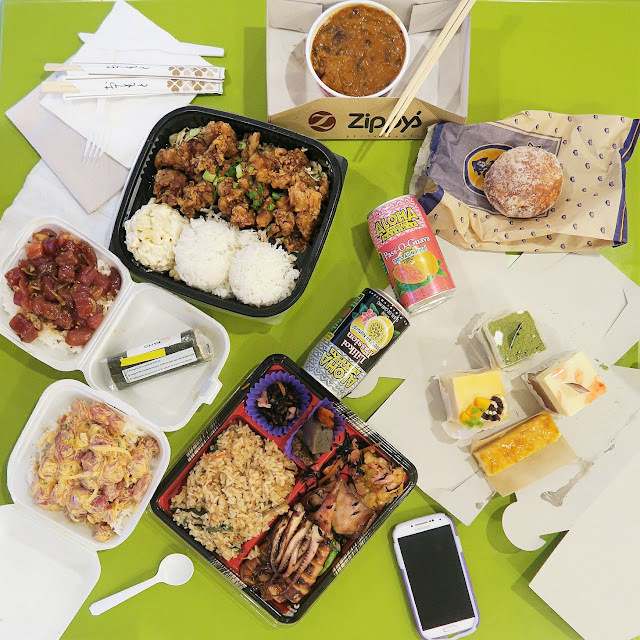 We stopped back at the Ala Moana mall to grab some Japanese food with a bento, natto roll, and some baked goods. Then we stopped Zippy's for their Korean Fried Chicken (delicious!) chili (not as good as I thought it would be) and a coconut malasada. Our last stop before the hotel was Ono Seafood, another highly recommended place for fresh poke. It was close to closing so a few of their popular poke was already sold out. It was pretty good but I will have to say, the poke from Time's may have been a bit better! Overall, it was a delicious last meal in Oahu. I hope you guys enjoyed the first part of my Hawaii food series. There's more to come from my days in Maui. Readers, have you been to Hawaii and if so, what are your favorite foods from Hawaii?